A philosophy major? Just call him the Socrates of Al Udeid. Air Forces Central has a new commander – and because of the high-profile nature of the gig, it’s time for a round of Air Force bar trivia! ● He will be in command of a 20-country region that stretches from Egypt to Pakistan. ● He majored in philosophy at the Air Force Academy. ● He was also the first general officer to fly the MQ-9 Reaper. 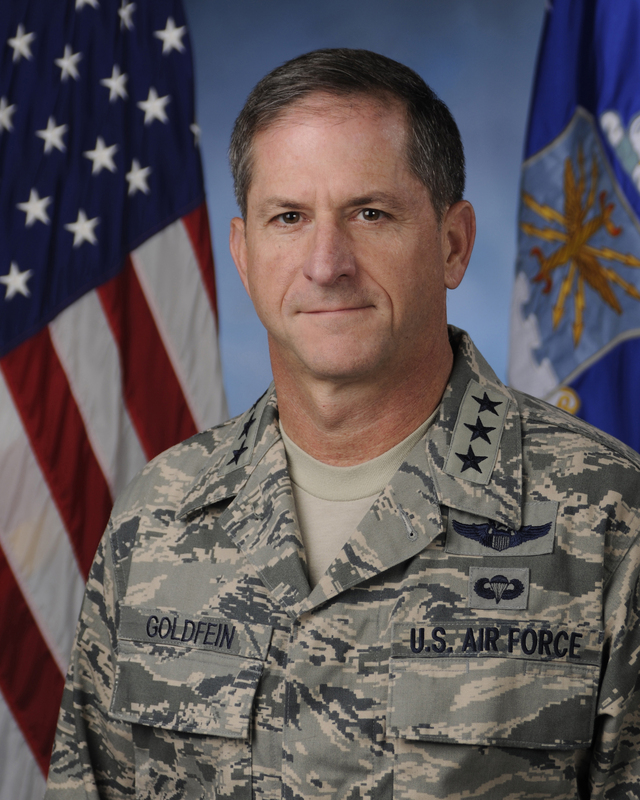 ● Goldfein was flying an F-16 over Serbia in 1999 when he came under fire and was forced to eject. He took some shrapnel to his hand but was otherwise OK. I use to work for this man in 2005, he was an O-6 then (awesome wing commander) and 6 years later he is an O-9? He is moving!!!! Then-Colonel ‘Fingers’ Goldfein wrote an excellent little leadership treatise published when he was running the F-16 business at Aviano. I’ve found parts of it to serve well as a help when trying to impart that critical skill to CAP cadets. This man has long been a hands-on ‘operator’, a background too often lacking in general officers. He’s plainly an exceptional leader & unless politics prevents it, downrange it won’t be a surprise if he ends up CSAF.